I have accumulated a few things that I either have double of or is not getting used by me and needs a new home. Payment via PayPal and the shipping will be charged separately on a per purchase basis. First Vie Long J.L. 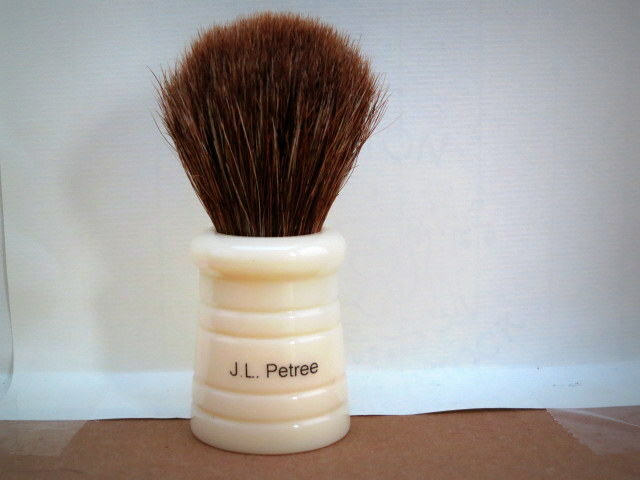 Petree Horse hair brush. This one is in great shape. I just don't seem to get along with the horse hair. It works very well on just about any soap I tried it on. I have not used it many times, but got it used. 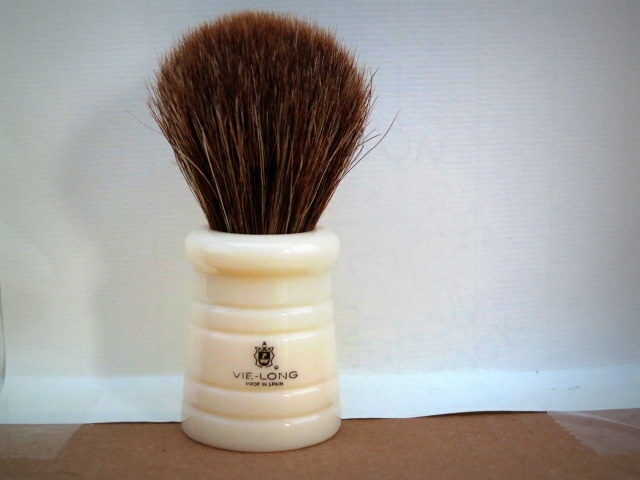 As I said, the brush is excellent shape, no issues whatsoever with shedding or anything else. Asking $25 plus actual shipping.- SOLD! Next up is How To Grow A Mustache (HTGAM) DE razor. This one has been used exactly once since I bought it new directly from HTGAM. 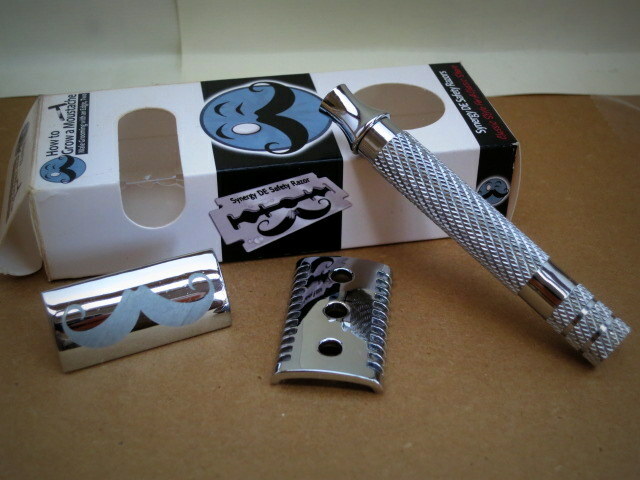 I love the razor, but I realized that this is a clone of RazoRock/Cadet Open comb head and I already have and enjoy. 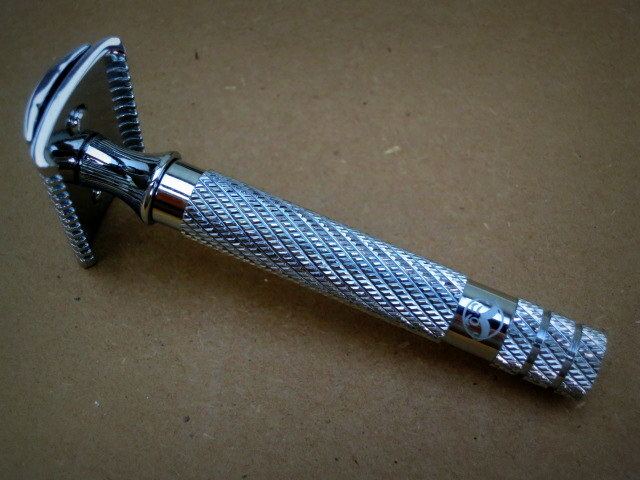 The HTGAM version has a few differences from the generic Cadet/RazoRock. They put an engraving of a mustache on the top plate and an engraving of their logo on the handle. also, the handle itself is a heavy plated solid brass affair with a really nice non-slip pattern unlike anything I saw on the RR/Cadet lines. This one comes in its original box. I am asking $25 plus actual shipping.- SOLD! 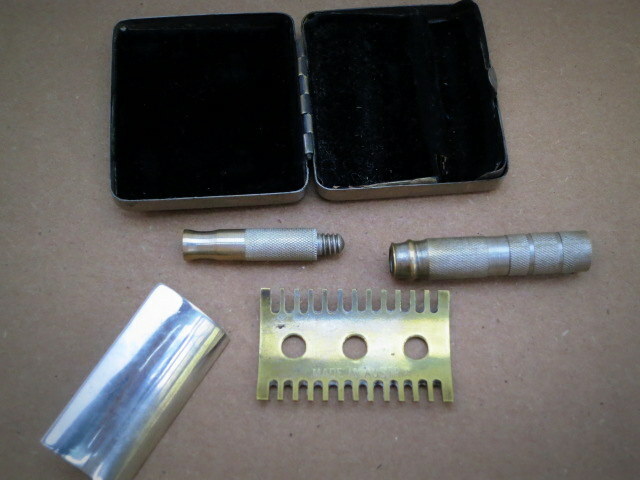 Next I have a vintage travel DE open comb razor made in Austria. 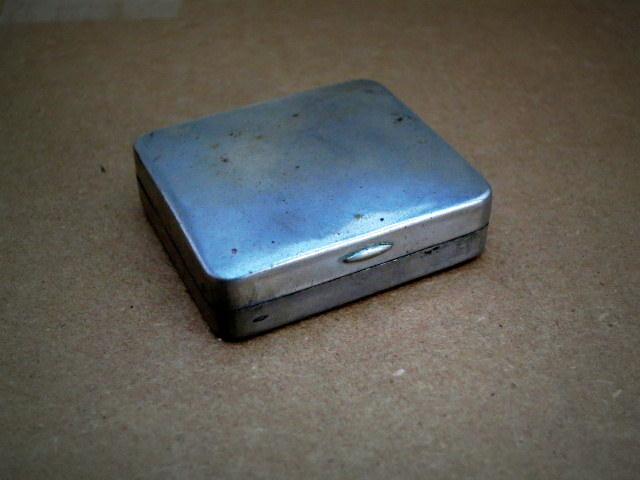 It comes in a tiny metal box lined with black velvet. 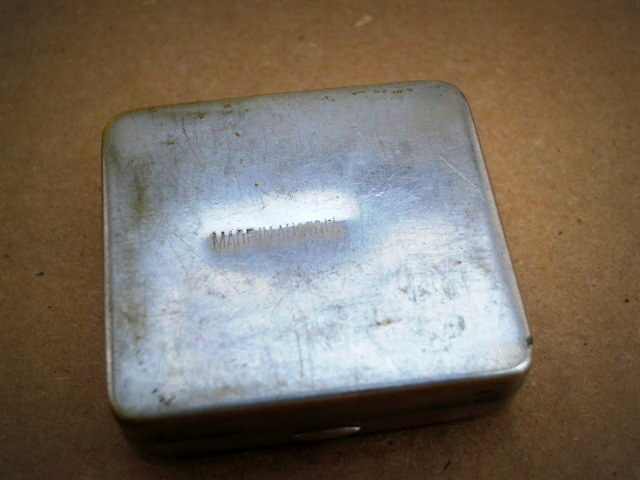 Both the box and the bottom plate have "Made in Austria" stamped on them. I have not shaved with this one. 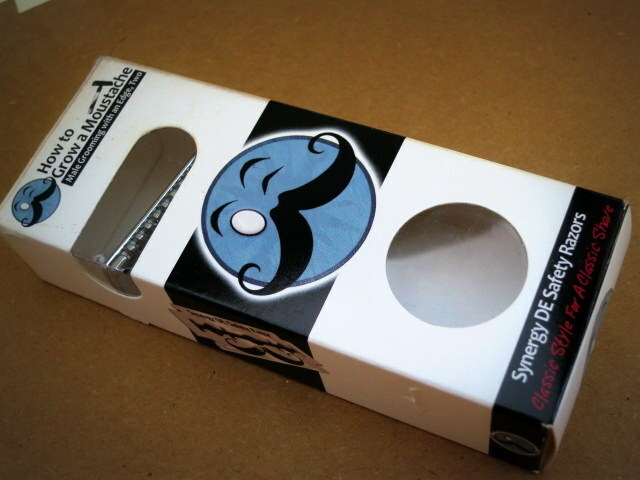 As I am pretty happy with my minimalist DE selection (down to 3 razors) I am letting this one go. It is in pretty good shape, but the plating is worn off in many places. 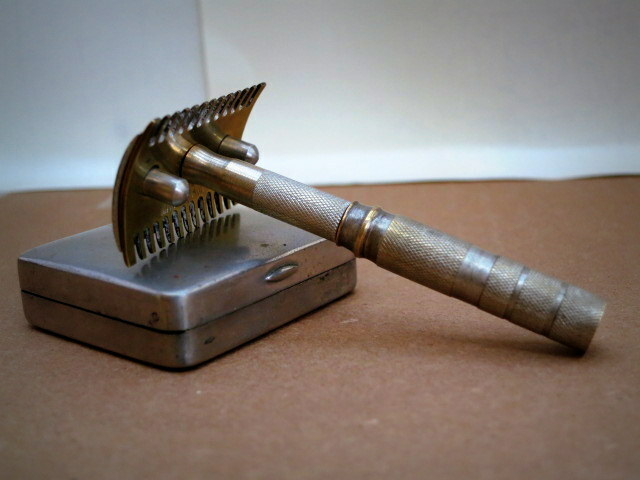 I think this is WWII era razor, so it's got some case wear. Asking $25 plus actual shipping.- SOLD! 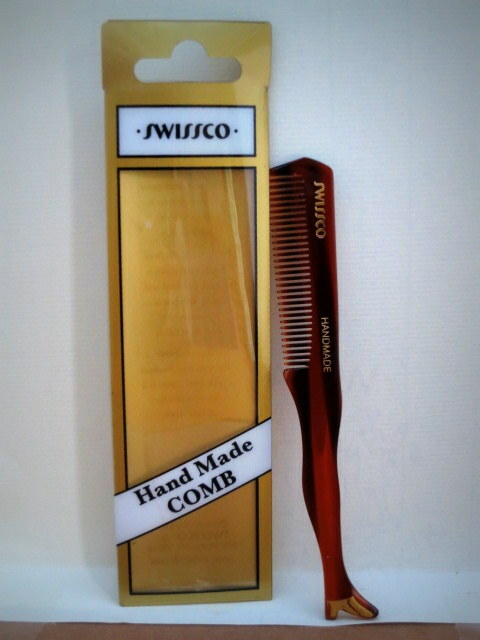 Next is a hand made celluloid Mustache comb by Swissco. I used this comb for a few months and now I no longer wear a mustache and do not expect to again in the near future. This is a great little comb and very well made. Asking $6 plus actual shipping. Last, but not least, I have an unused 4 oz. tub of Honey Bee Vanilla Creme soap. I got this in a trade a while ago and never used it because I do not like my soap to smell like food. This soap smells so delicious, I salivate as soon as I smell it and therefor it's not good for shaving for me. Asking $6 plus actual shipping. 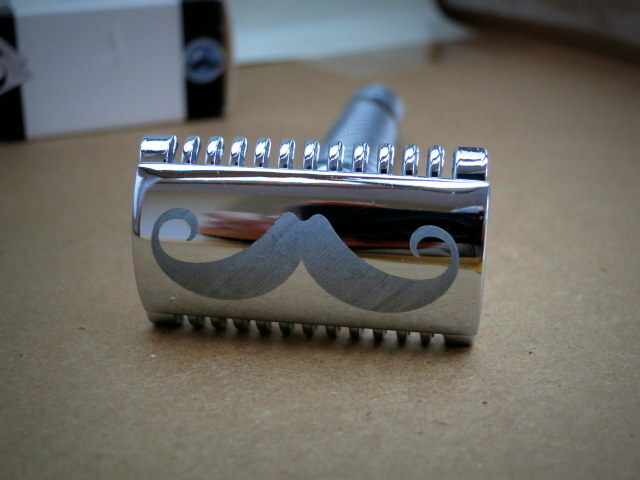 Mustache comb and soap are still available.